See Spring in full swing at the Wantagh Spring Festival on Sunday, April 28th. It's a quarter-mile long stretch of more than 100 vendors including locally made crafts, a magnificent selection of mouthwatering snack foods and hot meals, giant inflatable rides, live bands and musical entertainment, a classic car show and so much more! You can find the fun at the Wantagh Train Station between Beech Street and Oakland Avenue. If it's classic cars you wanted to see, skip the festival hoopla and drive on over to the Long Island Motor Parkway Classic Car Show. From 9 to 4, rain or shine, you'll get your fill of antique, vintage, stock, and muscle cars, hot rods, trucks, and bikes. And for those with a special interest in crafts, April 13th offers two shows, one in Broadway Commons Mall and the other in Hauppauge. Check the website for more details! Dig into a culinary twist on the old-fashioned 'Who Done It' mystery! Three Long Island cities, Patchogue, Huntington and Babylon will play host to your ghastly good meal, each with a different theme and unique set of clues. Whet your appetite with the Cupcake Conundrum, Fire and Ice (Cream) or The Ghost of Capsaicin. All three digestible mysteries are part walking tour, part interactive scavenger hunt and part food and pub crawl. Here's how it works! Beginning at one restaurant, you'll get the dish on the crime and its suspects while eating your first course. Then you and your team will follow along with your tablet or smartphone for prompts on how to connect the dots and interview suspects. Another course awaits you at every new restaurant, along with fun puzzles and trivia. 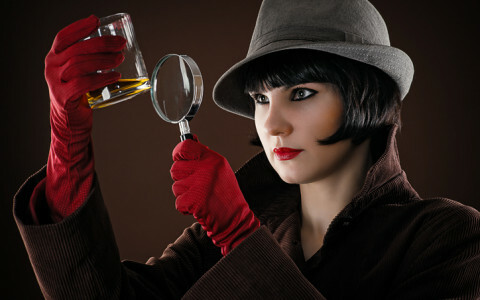 You'll have three to five hours to solve the crime and enjoy your five-course meal! What are you waiting for? This month, come and celebrate HarborFrost, an annual winter festival in Long Island's Sag Harbor where two of mother nature's most extreme elements take center stage--fire and ice! Beginning in the afternoon, you'll be able to watch sculptors chip and polish their slippery medium in live ice carving demonstrations. 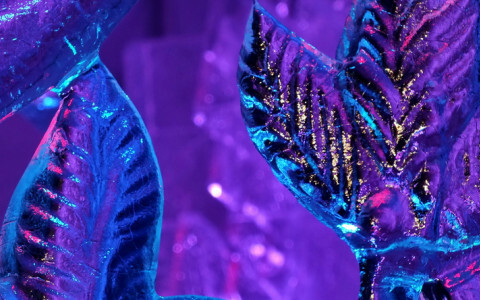 Their ice sculptures will glisten and sparkle along sunny Main Street until they melt. All the while, live music performances will keep a song on your lips and rhythm in your feet. Too cold to stay outside? Duck inside to see what activities the kids are up to. There’s truly something for everyone. When you get hungry, stop in for a snack or delicious meal at one of Sag Harbor's many restaurants and cafes. Shops in between will be decorated in the spirit of the festival. So make a day of it, and don’t miss the fireworks over the harbor after dark! Bundle up to cruise the water off of Long Island's South Shore. Trust us, or Captain Lou, it's worth staving off a shiver for the chance to see a baby seal! Captain Lou's Fleet runs tours through April, but January is the best month to spot a pup. For years, Captain Lou’s Seal Watching Tours have been widening eyes to the beauty along the shoreline. The boat sets sail a quick 30-minute drive Glen Cove, at 31 Woodcleft Avenue in Freeport, where your captain will point the stern to Hempstead Bay. 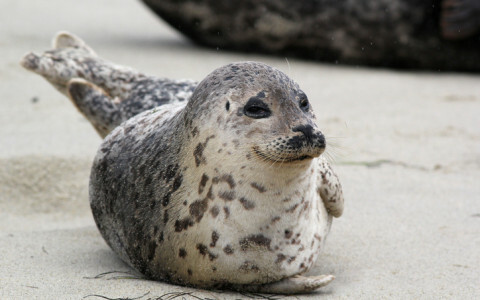 A naturalist from Riverhead Foundation for Marine Research and Prevention joins every ride to discuss biology and behavior of seals as well as any other marine life you may encounter. Plus, a heated cabin on board offers hot drinks and a warm refuge from any stubborn wind gusts. Check the website calendar for the January cruise schedule and book your weekend with nature! Lace up your skates to spin your way into Christmas. Open late November through mid-March, Christopher Morley’s outdoor ice skating rink draws recreational skaters and hockey teams alike. In fact, it's been a community fixture since 1966 and is considered by many to be the best outdoor skating rink on Long Island. Better still, surrounding the 200-feet by 80-feet rink is a sprawling, 98-acre winter landscape with marked trails and scenic overlooks. Go for a walk with some hot chocolate or simply consider the park to be a perfect backdrop for your photos on the ice. Don't have your own gear? You can rent skates at the rink. If you'd rather skate indoors, there are plenty more rinks to choose from. Check out the complete list here to find your favorite place to skate in Long Island. Keep in mind, outdoor rinks' opening hours are weather dependent. Trade your heels for sneakers and spend the rest of your day looking up. Nassau County invites you to wander in wonder on some of the best walking trails on Long Island. Here are our top four for Fall colors. Bethpage State Park features five miles of trails crisscrossing the Long Island Greenbelt Trail. The park is open seven days a week from sunrise to sunset. LIU Post Community Arboretum in Brookville boasts 4,000 trees. Yes, it's on a college campus, but you're always welcome, and each tree within the 40-acres is labeled for your own self-guided tour. Muttontown Preserve teases you through meadows, streams, and woodlands that are home to all sorts of native plants and animals. Collect a trail map at the entrance. With six marked trails through 216 acres, Sands Point Preserve is a family favorite with guided nature walks through the trees or along the beachfront. Get lost in the shades of the season! Join us at the waterfront at Theodore Roosevelt Memorial Park in Oyster Bay on October 13-14, for the Harmony Home Concierge 35th Anniversary Oyster Festival. Thousands of oyster aficionados will descend on Oyster Bay to savor an abundance of oysters and other seafood, accompanied by live music, games, carnival rides, contests, artisans, tall ships, a butterfly tent, and a Saturday evening firework display. This enormous fundraising event will also include a beer and wine tasting tent serving locally brewed beers and wines from the tri-state area, and a VIP Lounge this year. The VIP Lounge allows guests to leave the crowds outside and savor freshly-shucked oysters and complimentary soft drinks as they relax or play lawn games. An executive restroom will also be available, and all VIP Loungers will receive a free gift. 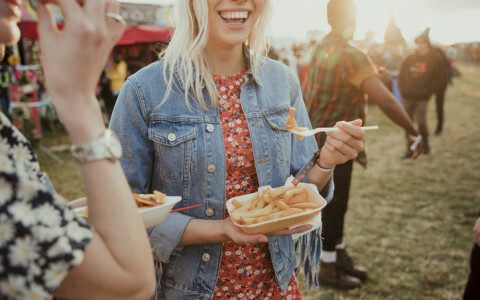 Those with no taste for shellfish can opt for cheesesteaks, pasta, Frito Chili Pie, and other delicious and decadent foods from many of the vendors at the festival. Proceeds from the festival will benefit the Rotary Club of Oyster Bay and additional local charities. One of the largest, most popular shopping malls in the state of New York, Roosevelt Field is conveniently located just a half hour’s drive from our hotel. Long before anyone associated Roosevelt Field with big-name retailers like Bloomingdale’s, Nordstrom, or Neiman Marcus, the site was a civilian and military airfield known for the many renowned aviators who set off from her runways, aviators like Amelia Earhart, Wiley Post, and Charles Lindbergh. Those runways are long gone, but the name remains (in this case, the relevant Roosevelt is neither Franklin nor Teddy, but rather Teddy’s son Quentin). In addition to the upscale department store staples, visitors to Roosevelt Field will also be delighted to explore the more than 250 specialty shops. When you’re too exhausted to shop anymore, take a break to refuel at the massive food court, or enjoy one of the sit-down restaurants like The Capital Grille, Grand Lux Cafe, Havana Central, Le Pain Quotidien, or Seasons 52. Then set out on the second round of retail therapy before heading back to the grand luxury of The Mansion at Glen Cove. Let your imagination run wild with our Summer Bridal Showcase hosted at our magnificent Georgian estate on August 16th from 6 pm to 9 pm. Glen Cove Mansion has been the setting of storybook weddings since our opening. Tucked away on 55 acres of sprawling landscaped grounds, the stunning surroundings are the ideal location for your picture-perfect wedding. We pride ourselves on bringing unique and customized dreams to fruition. Join us for an evening of cocktails, lite bites, and sumptuous desserts as you fantasize about your extraordinary day. We’ll have a team of experienced wedding professionals ready to help you chart your course through everything from conception to realization. From sophisticated and refined to warm and hospitable, we work with your idea to create the most-detailed atmosphere for your unforgettable milestone. We look forward to seeing you. Make the most of these sultry summer nights by listening to Grammy Award-winning live musicians under the stars at Morgan Park Summer Music Festival. Celebrating its 59th year, the music series draws a relaxed crowd of music aficionados from around New York. Head to the charming park nestled by the harbor, and overlooking the beauty of Long Island Sound, for performances every Saturday evening at 7:30 pm. Donated to the city of Glen Cove by famed resident and financier J.P. Morgan in 1932, the park is dedicated to his wife. We suggest packing a cozy blanket and picnic with farmer’s market finds to relax under the celestial skies and fluttering fireflies. On July 15th, Grammy Award-winning Vince Giordano and the Nighthawks present swinging jazz from the 1920’s and 30’s. Known for their esteemed appearances in Hollywood films and TV series, they have appeared in Cafe Society, The Cotton Club, The Aviator, HBO’s Boardwalk Empire, Mildred Pierce, and Grey Gardens. On July 22nd, Grammy award-winning Tom Chapin, The Chapin Sisters, Matt Taft, John Taylor, and Phil White, will be performing for a rare union on Family Folk Day which starts at 2 pm. On August 9th, the Long Island Concert Orchestra will take the stage with renowned American conductor Jason Tramm. And on August 26th, the season closes out with the nation’s top tribute band, the Zac Brown Tribute Band, for a night as nostalgic as it is entertaining. Each night of your vacation is a chance to sit back relax as you enjoy these truly impressive live concerts near Glen Cove. Immerse yourself in the decadent art world of the wild and roaring 20’s. Anything Goes: The Jazz Age exhibition leaves no stone unturned when painting an all-encompassing picture of one of America’s favorite eras. The multimedia show includes paintings, drawings, music, literature, furniture, fashion, and jewelry from famous artist and designers such as Picasso, Matisse, Tamara de Lempicka, and more. The show features the original painting "Celestial Eyes" by Spanish artist Francis Cugat, which later became the iconic book cover that helped to inspire legendary tale "The Great Gatsby" by F. Scott Fitzgerald. Stare into the golden yellow of those sad and mysterious eyes to be transported to a time marked by innovation and experimentation as American culture moved away from repression and into freedom. Other highlights include rare drawings by famous composer George Gershwin and never before seen artworks by author E.E. Cummings. However, it’s the black and white portrait of Coco Chanel photographed by Man Ray that takes our breath away. On view until July 8th, witness firsthand the creativity and liveliness of this influential period while staying with us at The Mansion at Glen Cove. Step back in time to 1938 when the legendary Boeing 314 Flying Boats took to the sky. The Clippers, a name given to all Pan Am aircraft, were “one-class” luxury vessels whose seats converted into 36 overnight bunks. They began flying locally from Manhasset Bay in Port Washington, Long Island, with exotic destinations such as Bermuda, England, Portugal, and France. At a time when air-travel was coming into vogue, Pan Am was a pioneer of trans-oceanic flying, and B-314 was at the helm, with only 12 ever made, and nine operated by the airline. Experience first hand, the extraordinary aviation genius, by spending a day at the museum. It’s the first of four planes to be exhibited in the coming years--Stratocruiser, B-707, and B-747 are all scheduled to join. The Cradle of Aviation Museum looks forward to welcoming Pan Am enthusiast in its support of the Pan Am Museum Foundation, an organization dedicated to the preservation of the legendary airline and promotion of the aviation industry. Cradle of Aviation Museum, Charles Lindbergh Boulevard, Garden City, NY 11530. Call (516)572-4066 for reservations. Return with us to a time near the end of an era known as the Belle Époque, just after the turn of the century. The world was marveling at the Eiffel Tower, grand lawn parties were hosted here at what was then called “The Manor,” and sultry summer evenings and lavish ballrooms were filled with the sounds of champagne corks popping and the strains of the waltz. It’s a cool October morning and the annual Vanderbilt Cup Race is off to a roaring start, with almost 50,000 spectators lining the racecourse to cheer the drivers on. Created by William K. Vanderbilt, Jr. (known to his friends as Willie K.), this was the first serious international race. A fan and participant of the emerging sport of auto racing, Vanderbilt raced in Europe, and returned with the idea of the Vanderbilt Cup. Although there was some backlash against the idea of an open auto race on Long Island, Vanderbilt won out, and the Vanderbilt Cup Race has since become an established part of auto-racing history. The Vanderbilt Cup was the first major trophy awarded in American automobile racing, and has itself become one of the icons of auto-racing history. Imagine waking up in a stately manor imbued with history, elegance, and fame--here at Glen Cove Mansion we aim to live up to the traditions and grace of the original Pratt Family. From breakfast until dinner, every detail is majestic and guests are treated with historic hospitality. A perfect day starts with the sunlight peering through your Georgian windows, and the fresh scent of coffee calling your name--mornings are always more exciting when breakfast is included. Opt for a day at the manor, with luxurious amenities such as an indoor and outdoor pool, tennis center, 24-hour fitness center, vintage bowling lanes, restorative yoga, Glen Cove Golf Club, and on property Gear & Grin spinning classes. If you feel like venturing out, museums such as Sagamore Hill National Historic Site - Presidential Museum, Nassau County Museum of Art, and Hillwood Art Museum, are great for groups, families, and couples. After a day of relaxing and enjoying luxe conveniences, elevate your stay with a scrumptious gourmet dinner at Pratt’s at the Mansion. Follow the secret staircase to the third floor, where you’ll find a brasserie-inspired restaurant by Chef Andy Helliwell. Indulge in craft cocktails and seasonal farm-to-table dishes before returning to your luxurious rooms for an evening of restful sleep. We aim to perfection every day at Glen Clove Mansion, and look forward to welcoming you as our guests.